A large part of the reason behind Dangal’s ascension to number one is its availability on DD Free Dish, the distribution platform launched by Prasar Bharti. However, an equally big contributor has been the withdrawal of multiple private free-to-air (FTA) channels from the platform in recent months. 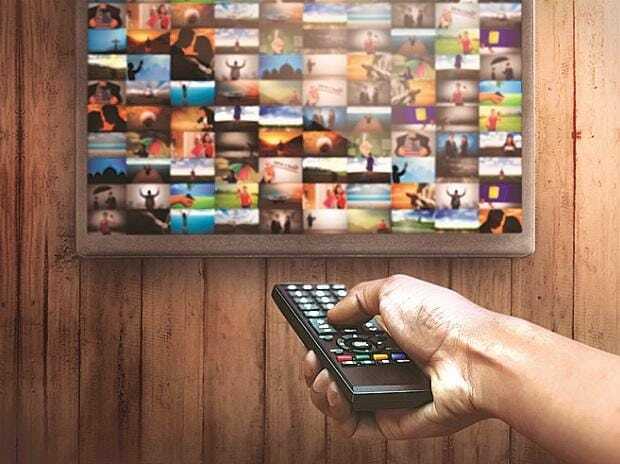 Multiple popular private FTA channels such as Zee Anmol, Rishtey, Rishtey Cineplex, Star Utsav, Sony Wah, and Star Utsav Movies withdrew from Free Dish on March 1. “This is an early trend and should be read with that perspective. 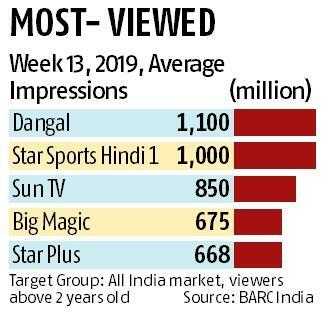 Dangal was always available on Free Dish, however, with the exit of the key FTA (free to air) GEC and movie channels, which drew viewers to the platform, the other available channels have benefited as consumers spend more time on these channels,” says a BARC India spokesperson. In genres that have not seen a major churn of channels from the Free Dish platform, there haven’t been any major upsets in the pecking order. For example, the top five channels in the music genre are more or less the same as is the case with Hindi general news channels. As the industry settles into the new tariff regime, experts believe that the future of Free Dish may be in danger since popular FTA channels have withdrawn from the platform. “With popular FTA GEC and movie channels going off Free Dish, the popularity of the platform is beginning to wane. The mix of channels has seen a significant change. Due to this, new entrants and continuing channels have gained in viewership,” says an industry executive.